Thanks Joanne for taking the time to write a review – so happy your are enjoying your trial! So happy I found this place! The times that I usually go the gym doesn't have a lot of people which is nice to go through your workout and not have to wait for a machine. Great staff. Clean gym. 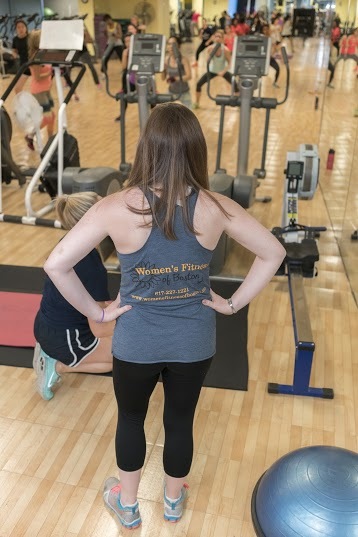 Love Women’s Fitness of Boston. I take their lunch time classes & I couldn’t ask for more. The classes are fun, effective & flexible for the work day. I wish I signed up sooner! Best women's gym in town. staff and members are very friendly. no judge zone. Comfortable atmosphere. Employees, especially owner, are very helpful and make you feel comfortable. So far really enjoying classes. I started going to WFOB because of a Groupon, but I'm enjoying the classes so much that I'm definitely going to continue going. The staff and class instructors are so nice, welcoming, and encouraging. I really look forward to going there! So friendly and helpful to me , and a clean place. Thanks for your care. I love Women's fitness! It's a wonderfully located, fair priced and delightful gym. The staff are extremely supportive and welcoming. There are a wide range of classes for all types of exercise. Personal training is great too! Amazing gym, great atmosphere! You don't just get a workout your soul is also at peace. Love it. Good location, good hours, good price. Everything I need without having to pay for the things I don't. Is a place with a great environment and with a diversity of classes to choose from. Love this gym! Great owner, trainers, and Karen the zumba instructor is absolutely amazing. Julie is awesome! This place has been my gym for years & years. I know several people who are there as much as me & are considered gym rats. 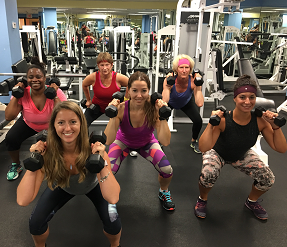 The options for classes is pretty good along w/ personal trainers that work their magic. Love it! Classes are amazing instructors are great. Location is good, right in downtown. A small gym but makes it nicer when you recognize everyone. Reasonable in cost. I discovered WFOB when I was an intern few streets down. I was looking for a sports club, not expensive but with a good quality of classes. Great workout place. I love how it's just all women and everyone is having fun working out. Workout classes are the best. The trainers are nice and helpful. This place is awesome. It's never really crowded. After work from 6 on theres a few people, but you can always get a machine. Classes are great, yoga, Zumba. The locker rooms are super clean and there's always some samples there. Awesome gym. Everyone is super nice and there's a lot of classes to take advantage of. It's in a great location and very reasonable – love the month by month program! Awesome classes, very energizing, and great teachers. Located very conveniently downtown between Starbucks and Bolocco.